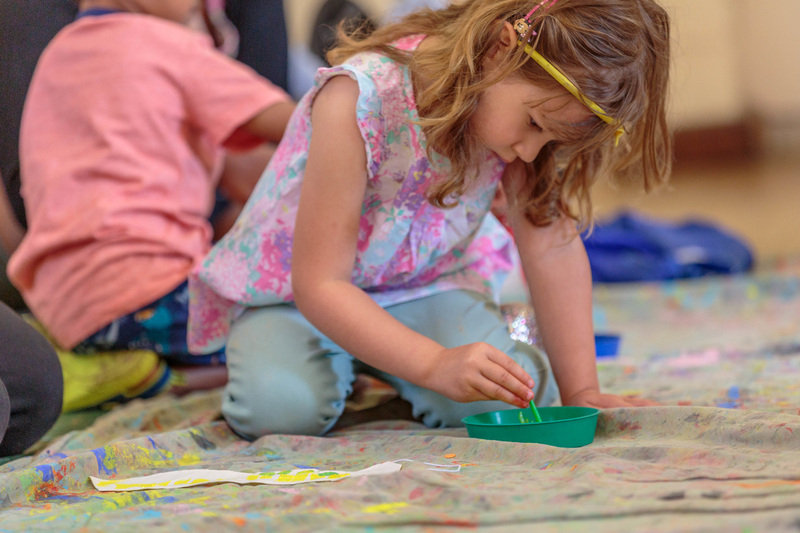 Great for developing fine motor skills as children learn how to control a paint brush or their fingers. Mark making - how an action leads to a result. Begin to explore how colours change when we mix them. An awareness of the world around them and how different objects can create prints of different shapes. Children begin to learn how to order shapes and lines which leads to the start of mathematical understanding. 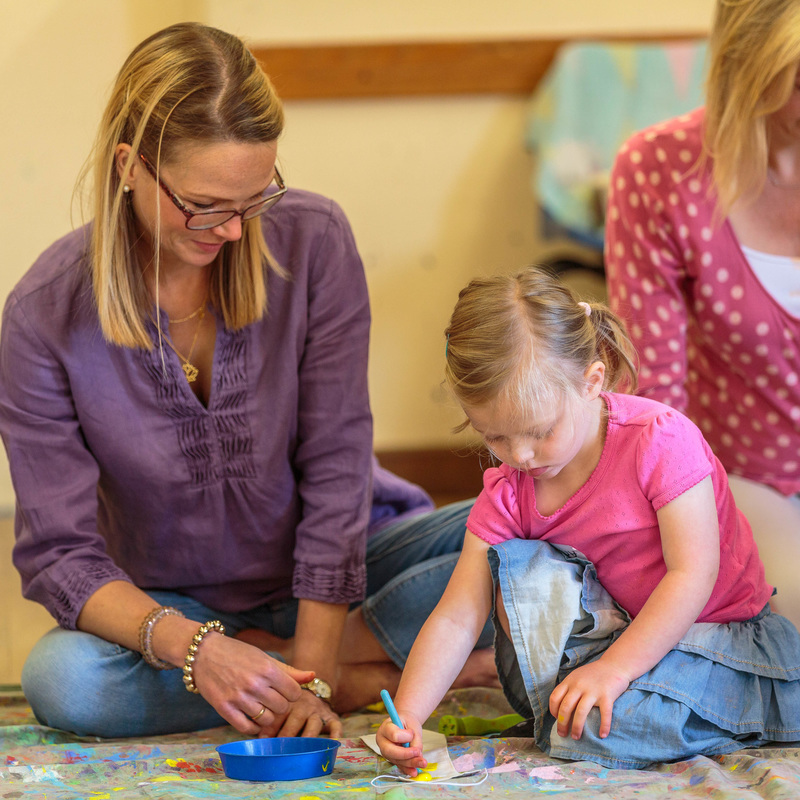 Encourage the children to express themselves when they paint - it's about the journey not just the finished result! Help the children to identify the colours and talk about how they change when mixed together. Tell them not to worry about getting messy! Children can exercise choice by choosing what to stick where. They learn to start making judgements about size, position and balance. Let the children experience the feel of the glue if they want to. Encourage children to use their own imagination and judgement - it can be hard to hold back but try to remember who's artwork it is! Mathematical ideas about conservation - when they see that the same piece of dough can be used again and again to make several different shapes. Using dough helps to develop fine motor skills and strength/skill in the hands and arms. 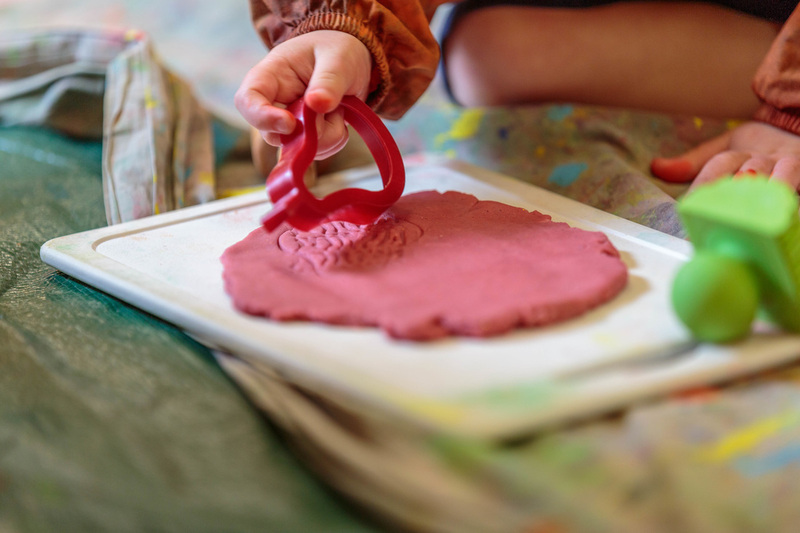 Great for encouraging imagination as they mould shapes. Let the children knead, stretch and physically pound the dough. Talk about things being small/big, big, bigger, biggest etc.